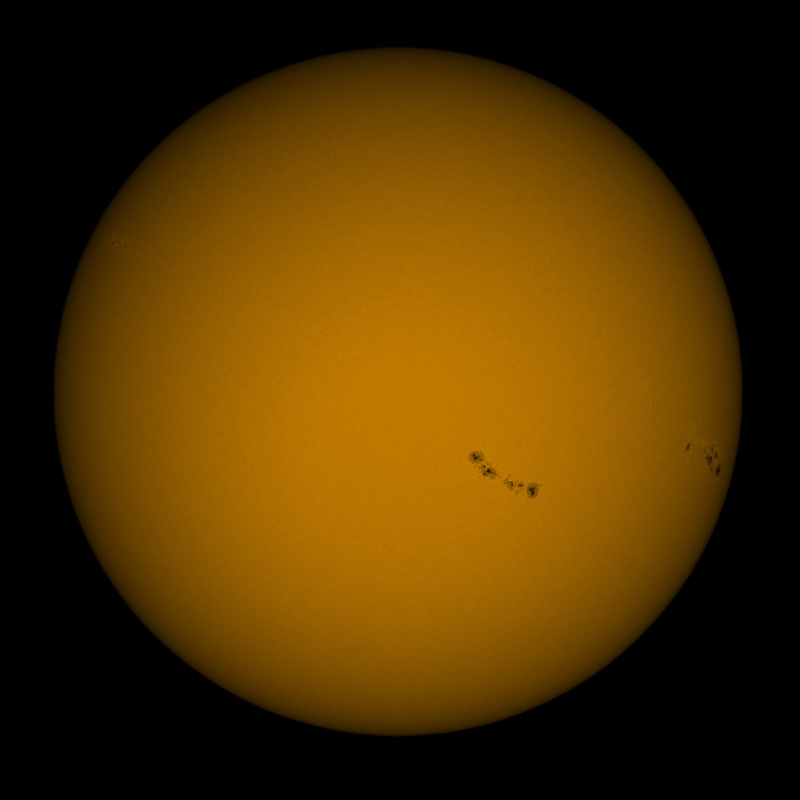 AR2529 was a large and relatively quite sun spot in prime viewing position on April 14, 2016. 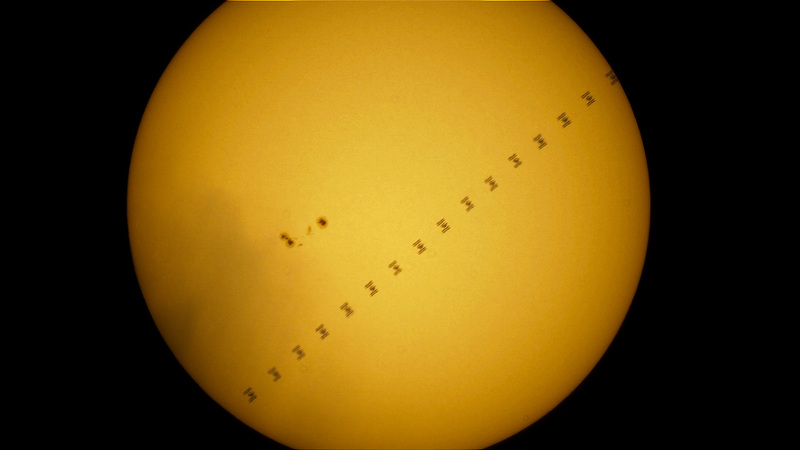 The scale of the full size image is about 0.15 arc sec or 109 km per pixel. 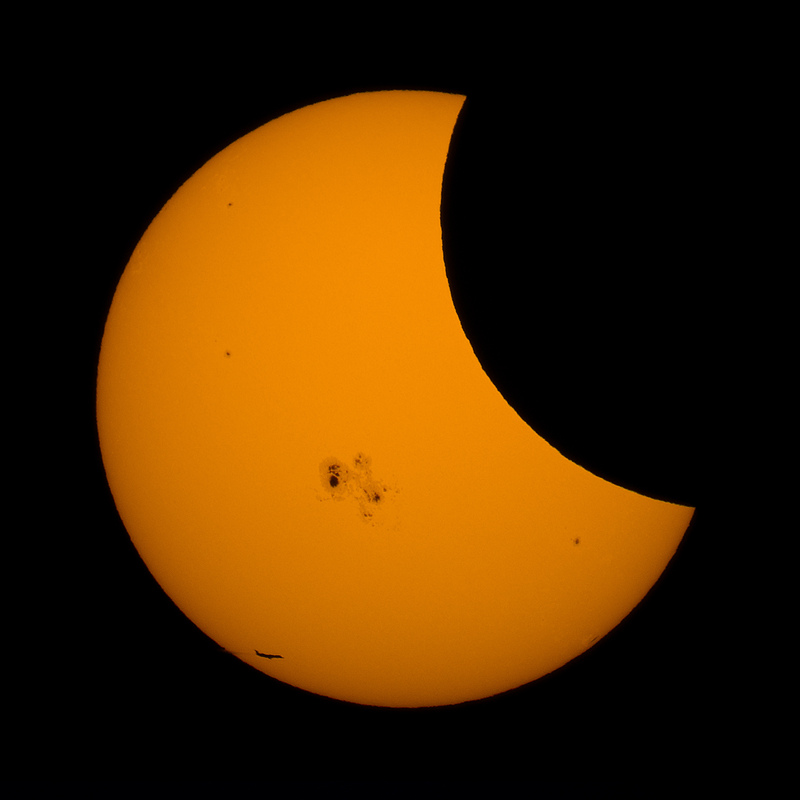 The dark umbra of the large sunspot is about 37,000 x 27,000 km. The earth is 12,756 km in diameter, so that is about 3 by 2 earths in size. 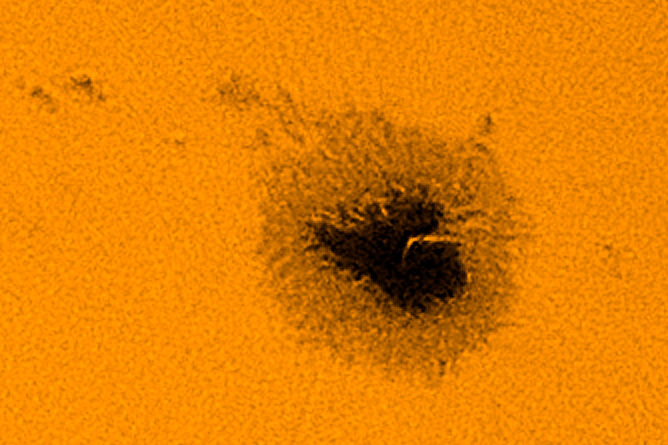 The light bridge through the heart shaped sunspot is about 1k km wide. Taken with a Questar 3.5" telescope with a Sony a6300 at prime focus. Eight images stacked in Nebulosity and deconvolved in Lynkeos. Final crop and exposure in Photoshop.